“Free Solo” is unlike any documentary I’ve had the pleasure of beholding. 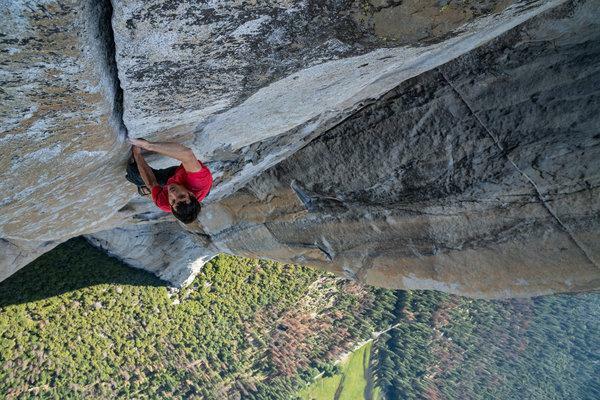 While the film details every aspect of Alex Honnold’s personal life in his challenge to free solo climb El Capitan, the cinematography and nature of Alex’s profession gives this film thriller-like suspense. You get to know and appreciate Alex’s quirky, charming personality while the precarious and vast scope of the screen makes it feel like you’re free climbing with him, like every step and placement matters. The film is wonderful at putting you in Alex’s shoes and fearing that something bad might happen ever step of the way.